Blissfully Sweet: A Horse Stable Cake for a Horse Loving Gal! 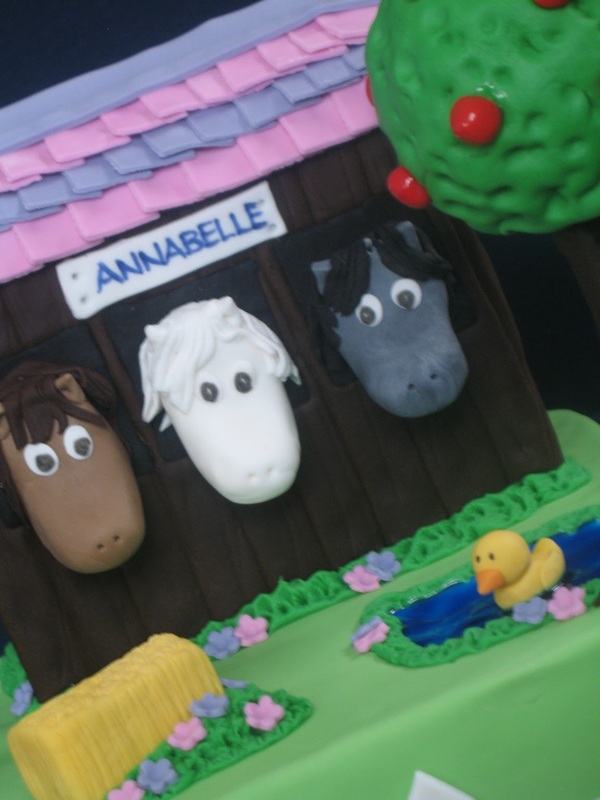 A Horse Stable Cake for a Horse Loving Gal! Annabelle turned 7 over the weekend and enjoyed a fun day painting ceramics with her friends. As well as painting ceramics, Annabelle LOVES riding horses, especially her favourite white horse, Cassidy. 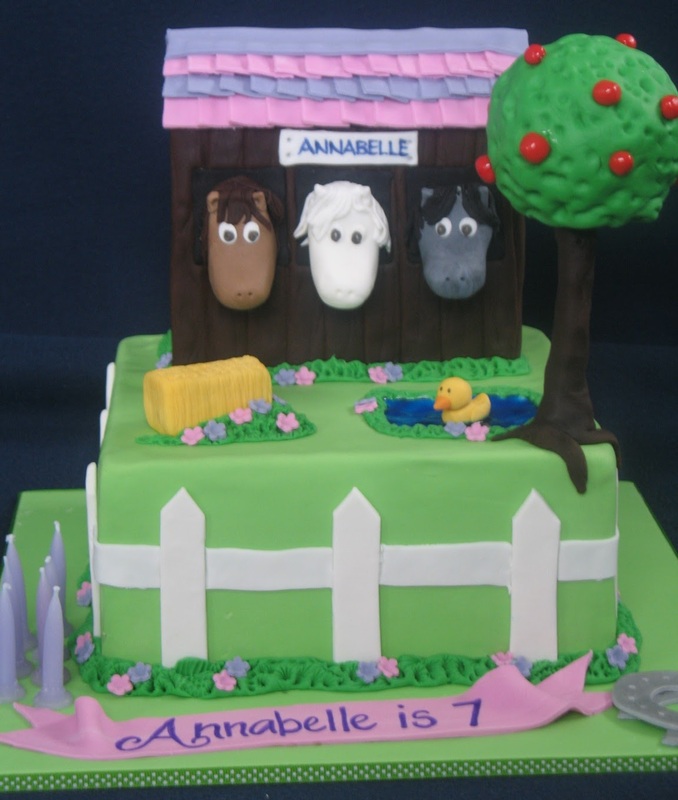 So I thought I would put Cassidy in a stable with a few friends and put her in a picturesque little setting - what little girl or horse would not like that??! 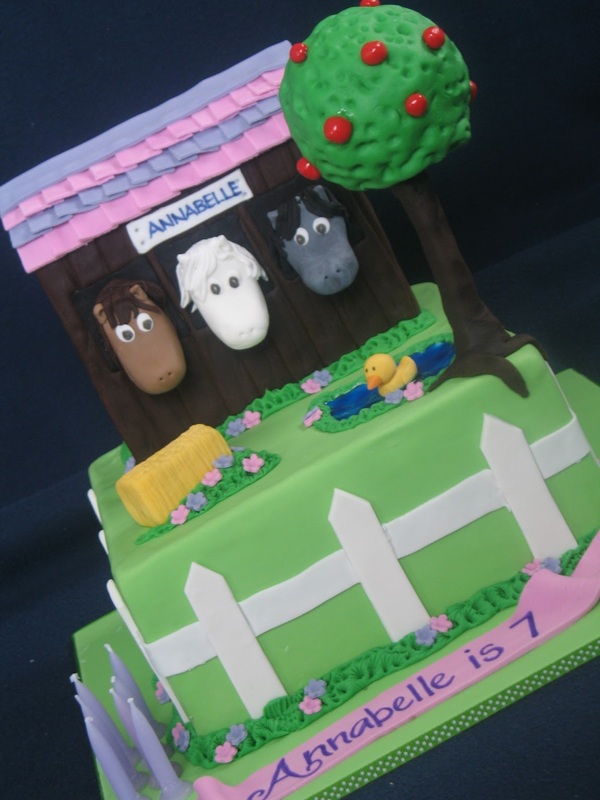 The bottom tier is chocolate cake with chocolate ganache and the stable is vanilla cake with white chocolate ganache. 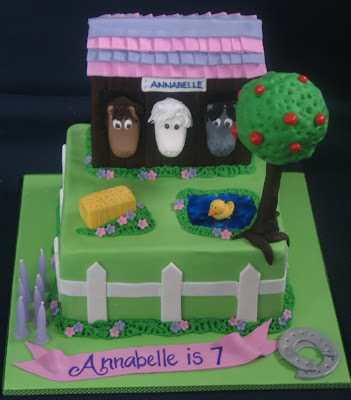 Everything is completely edible (except for the top of the apple tree - which is fondant covered stryofoam) and everything is handmoulded. I think I would like to visit this ranch! Cassidy looks very happy with her mates, hay bale, duck pond and could even get a snack when one of the glistening apples fall off that apple tree! 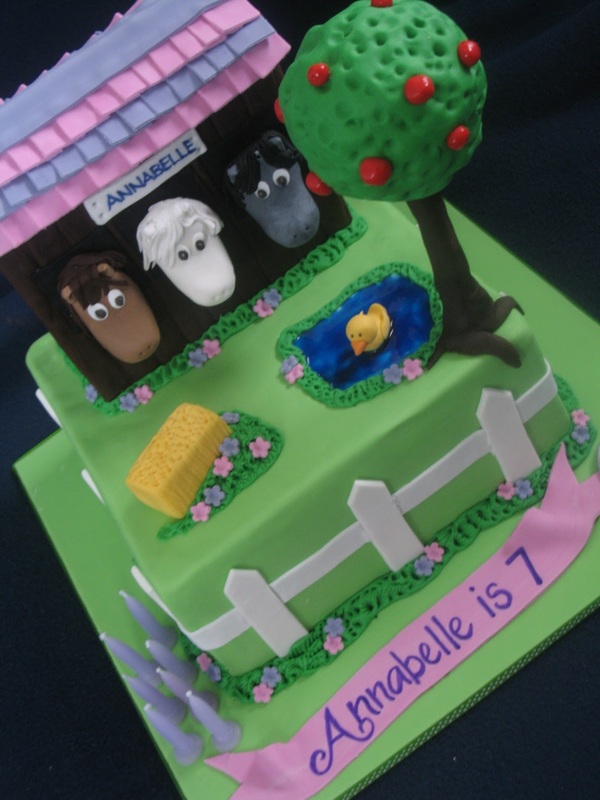 Happy 7th Birthday Beautiful Annabelle!